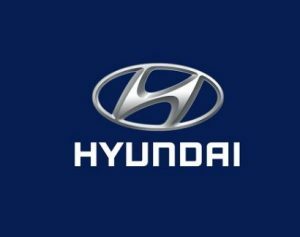 Contact Hyundai South Africa: Find below customer service details of Hyundai in South Africa, including phone and email. Besides contact details, the page also offers a brief overview of the car manufacturer. South Korean automotive giant Hyundai is known for its innovative line of quality vehicles sold around the world. The brand has an active presence in South Africa where it began operations in 2001. Operating officially as Hyundai Automotive South Africa, the car manufacturer has dealers across major cities including Cape Town, Johannesburg, Durban, Pretoria and Port Elizabeth. The dealer network can be searched on the website using name, address or city. The website also showcases the entire Hyundai vehicles introduced and sold in the market. The list includes hatchback, sedan, SUV, MPV, LCV and MCV. To mention the names, you have Grand i10, i20, Elantra, Creta, Accent Sedan, Kona, Tucson, Santa Fe, H1 Bus, H100, H1 Panel Van and EX8. While you can visit one of the showrooms to get details on the models, you can also book a test drive on the website. Buyers can download a catalogue and read all the specifications and know the variants before confirming the purchase. If you are short on cash, you can apply for finance through Hyundai Financial Services. Applying finance can be done online by selecting vehicle, giving personal details, salary details, financial details and monthly expenses. There is a finance calculator on the website to help you with the installment, interests and other details. Existing car owners can book a service online for repair or replacement of parts. There are various plans available for car owners. There is Service Plan, Maintenance Plan, Warranty Booster, RenewTech, AdCover, and Deposit Cover. The most common being the Service Plan, it provides scheduled services that any vehicle needs. The plan runs for a set period of time or for a fixed number of kilometres. Note that only vehicles that are less than 10 years of age or that have done less than 250,000 km qualify for this plan. Newly bought passenger and light commercial vehicles are covered for a period of 7 years or 200,000km, whichever occurs first. During the period, you can visit any of the service centers for repair or replacement of parts. Hyundai South Africa operates an estore for car owners to order genuine Hyundai parts. You can shop for parts by entering your Vehicle Identification Number (VIN). Experiencing a break down in your vehicle? Car owners can request for roadside assistance by calling the customer service. It offers tow-in service, fuel to reach closest fuel station, key lockout service or tyre change. For more information or queries on dealer locations, service centers, ordering parts, warranty, career, or others, reach the Hyundai South Africa support.